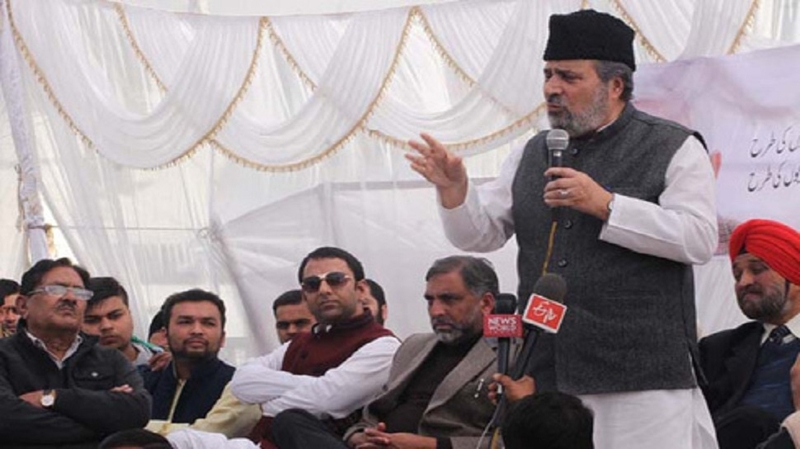 SENIOR PDP leader Muzaffar Hussain Baig on Tuesday offered the Jamaat-e-Islami Jammu Kashmir and the JKLF legal help to contest the ban imposed on them by the Centre, saying while these outfits were ideologically opposed to his party, he would do it to uphold civil liberties. “Although both Jamaat-e-Islami and JKLF are our opponents, we are ready to provide legal help in contest the ban imposed on them. It is a matter of principles and for upholding civil liberties,” Baig, who is a lawyer by profession, said. The senior leader made the offer of legal assistance to the two banned outfits while addressing a workers’ meeting in Baramulla. In her address, PDP chief Mehbooba Mufti said if her party came to power, it would scrap the ban imposed by the Government on the JKLF and the Jamaat-e-Islami Jammu and Kashmir. “Banning organisations like Jamaat-e-Islami and JKLF will have far reaching consequences and such measures only increase the level of alienation and frustration among the people,” she said. The former Chief Minister said the PDP has a clear stand that ideas cannot be chained, banned or killed. “In a democracy, ideas are allowed to flourish and not choked. By taking such undemocratic, unconstitutional and unnatural measures, the government, in actual, is trying to show its electorate how tough it is against the Muslims and against Jammu and Kashmir,” Mufti said. “If PDP comes to power, it will make strenuous efforts to undo the BJP’s wrongs and revoke the ban imposed on Jamaat-e-Islami and JKLF,” she added. The Union Home Ministry last week banned the Jammu and Kashmir Liberation Front (JKLF), led by Muhammad Yasin Malik, under the Unlawful Activities (Prevention) Act, 1967. As per a notification issued on March 22, the Central Government is “of the opinion that the said organisation is involved in anti-national and subversive activities and is in close touch with militant outfits and is supporting extremism in the State”. In an earlier notification issued in February, the Centre had banned the Jamaat, saying that the organisation was “in close touch with militant outfits” and that the group claimed “secession of a part of the Indian territory from the Union”. Both the outfits have been banned for five years.